Short-circuited USB socket for the data communication terminal for charging. ・It is a socket that short-circuits the data communication terminals(D+D-)when charging the tablet with USB. Charging becomes possible by using this product. You can use it while switching to charge mode and host mode. 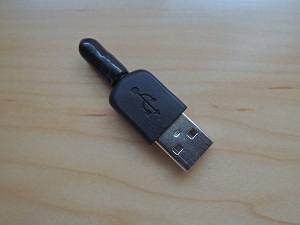 １、Set the optional S1 cable to charge mode, insert this socket, and then connect it to the power supply and tablet. ２、Charging will continue even if the socket is pulled out once the tablet is charged. you can use USB by switching between host mode and charging mode. ・I do not check the operation with all tablets and smartphones. ・Because of handmade there is no manufacturer compensation. We respond only to the initial defects returned. In that case, after returning goods will ship round trip shipping fee and purchase price after arrival. ・Even if malfunction occurs on tablet, smartphone main unit, connected device or data, we can not respond. Regardless of your use, we ask for your own responsibility. Credit cards are also available. Payment will be processed at PayPal . After payment we will automatically return and will return to the screen. For inquiries / orders mail is also accepted.